Simply divine, this beautiful 1920s inspired crystal and pearl side tiara is a must own for any glamorous occasion. Oozing sheer beauty and inspired by precious diamond and pearl headpieces from the roaring 1920s, Exquisitely Precious Side Tiara could easily be mistaken for a family heirloom. 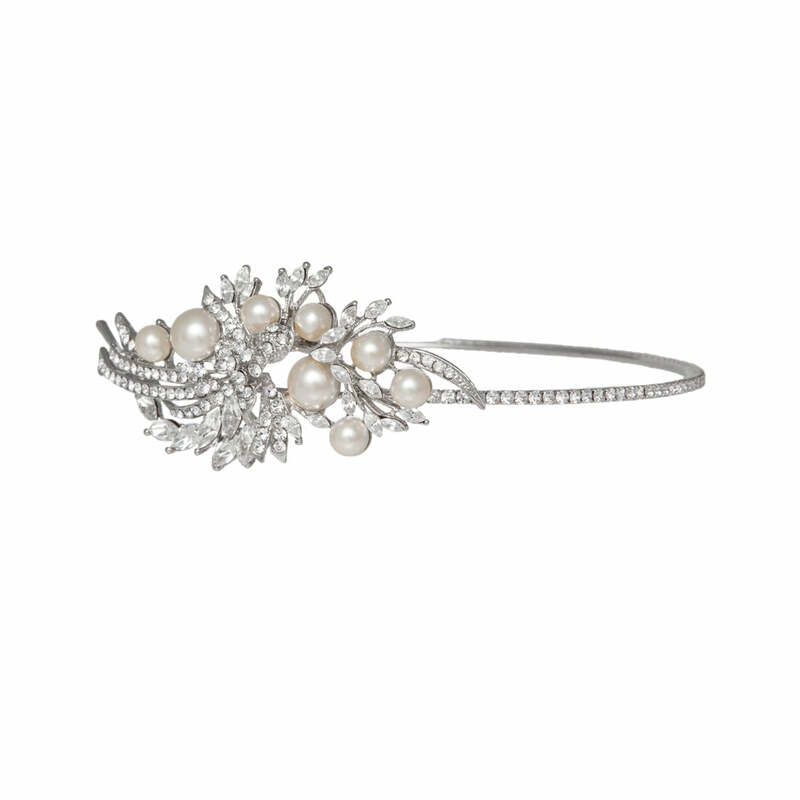 A fine single headband encrusted with petite Austrian crystals for subtle sparkle with a side adornment of flowers, leaves and scrolls adorned with crystals and ivory faux pearls. With hoop ends for securing to the hair with kirby grips, this versatile hair accessory looks fabulous worn in a chic up-do, a tousled bun or loose curls. Brides who adore the romance of vintage wedding style will adore this divine 1920s pearl side tiara. Compliment an antique bridal gown to perfection with coordinating drop earrings. Absolutely gorgeous piece, which I wore for my wedding. I originally wasn't going to wear a tiara but then I saw this and changed my mind instantly. I order this headband for my wedding back in March 5, 2011, I totally loved it...gorgeous, elegant and excellent quality... I had a bunch of compliments!! !